Class Photos 1961 - Brighton technical school, Victoria, Australia. Form 2, 1961. Photo courtesy of Peter Dyete. 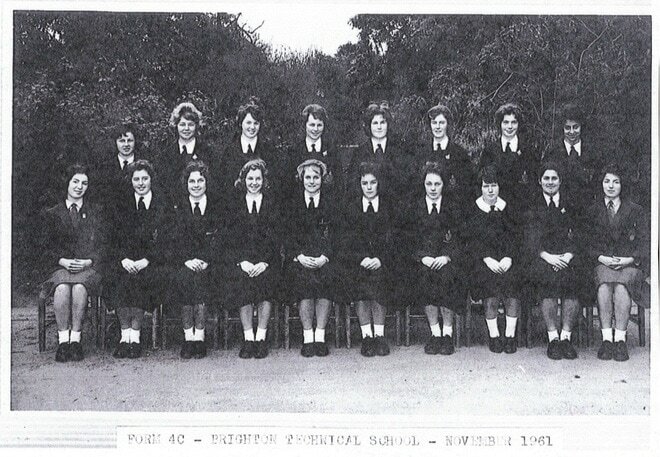 Form 4C Brighton Technical School November 1961. Back Row L to R: ?, Erica Christians, ?, Joy Trezise, ?, Joy Chamberlain, Linda Waters, Nelly Tahan. Front Row L to R: 5th to the R Pam Smith and 9th to the R Carol Smith.